Modern, clear sound with unique baffle and special Theo Wanne shark gill chamber. 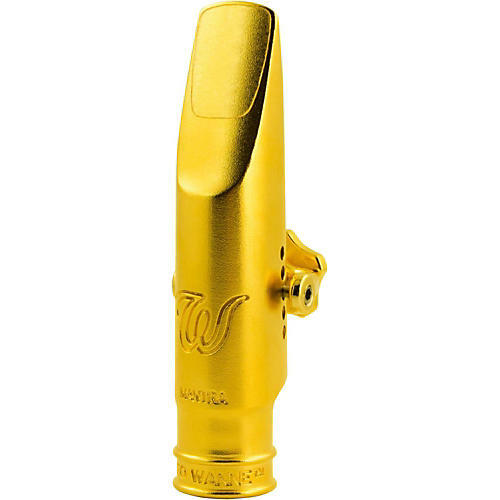 Theo Wanne's first small chamber mouthpiece is right in line with their True Large Chamber mouthpieces. The MANTRA alto mouthpiece has a large and clear sound. It has a more modern sound than a GAIA alto mouthpiece, yet is not 'bright' like a high baffle mouthpiece such as the DURGA. The MANTRA's unique rollover baffle, square window, and 'shark gill' chamber, along with Theo Wanne's legendary advanced manufacturing techniques, make it truly unique. The MANTRA alto mouthpiece gives musicians the ultimate freedom of expression.